Your message has been sent to Kady African braiding . Like authorSTREAM? Give us a +1! The Kady African Hair braiding & weaving is a hair braiding service salon that provides all sorts of hair braiding styles. We aim to provide quality african braids at affordable price. 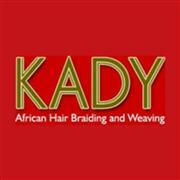 Please contact us at 832-449-6417 or visit @https://www.kadyafricanbraiding.com for more details. Kady African braiding's Podcasts ..